When it comes to feeling cozy, don’t feel like you have to sacrifice on style. 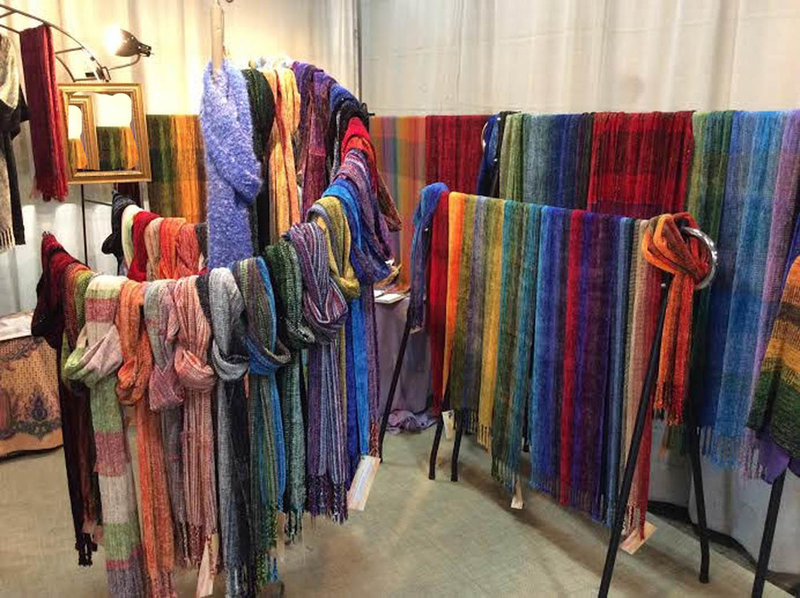 Kathy Litchfield’s Firecrow Creations is a wonderful resource for a brilliantly colored, handwoven scarf or shawl that feels warm and inviting as well as elegant and stylish. Each of these beautiful accessories is made completely by hand and features vibrant colors. Whether it’s made with lightweight rayon or loosely woven mohair, these scarves and shawls are sure to keep you warm while adding a colorful accent to your ensemble. Litchfield’s Firecrow Creations also makes it possible to add that cozy, colorful vibe to your own home. Check out her collection of luxuriously soft chenille wraps and throws to add a welcoming and wonderfully stylish touch to any room. Each of these handmade pieces is woven on Litchfield’s eight-harness, cherry Norwood loom. They make excellent purchases to treat yourself as well as thoughtful gifts for loved ones. You can catch Litchfield’s Firecrow Creations at an upcoming Sugarloaf Craft Festival.